The Romans were a mighty civilization and gifted the world with many a fabulous things of which Roman buildings and monuments form an integral part. Romans built such buildings that are considered marvels of architecture as these are still standing tall, courtesy, the exemplary work of the ancient Roman architects that thought of new ideas and introduced us to features like arches. The Romans also introduced the use of concrete and cement in constructing buildings. Such durable were the foundations of the buildings that some of these are still present for the modern day human beings to cherish them. Today, we are bringing a cool post that’s listing the top 15 Roman buildings that are still standing today with pride and are a cynosure of all eyes. So, get set to enjoy reading this post! One of North Africa’s best preserved Roman town is Dougga which is famous for its amazing ancient architecture that includes the Capitol Temple, a Punic-Libyan mausoleum and a theater. The site is located in northern part of Tunisia and is visited by large number of tourists. This historical site is one of Africa’s best preserved towns built by the ancient Romans and most visitors come here to revel at the glorious architecture of the Capitol Temple dating back to 2nd century BC. The temple is dedicated to Jupiter, Minerva and Juno – Roman gods. Perhaps, the temple was built during the reigns of Lucius Verus and Marcus Aurelius as these two emperors are also mentioned here. Dougga is a world Heritage Site declared by the UNESCO and is ancient Rome’s still standing historical site. If you are traveling to south of France, you must make a point to visit Pont du Gard, a columned aqueduct with three stories and beautiful arches. The ancient Romans were master planners who planned the water system in their cities well. This aqueduct at Pont du Gard delivered drinking water from nearby springs and collected them to be supplied to citizens of Nimes. The aqueduct system was one of ancient Rome’s biggest contributions to architecture. There were several aqueducts present all over Rome, but the one that’s still standing tall is Pont du Gard that was made out of bricks. Ancient Roman architecture was famed for its ingenious and innovative features of which the Roman Baths were an important part. The city of Bath in England boasts of these grand structures and attract over a million tourists annually. Most well preserved buildings include a 60-70 AD built temple and a bathing complex housing natural hot water springs. Though, in ancient times, the Romans might have used these baths as public places for social interaction and bathing, now, the water of these baths is considered poisonous and harmful to the body. The pipes that the ancient Romans laid are still in operational condition and it is through these lead pipes that the water flows inside the baths. One of the still standing Roman buildings is the Pantheon, Rome’s biggest dome dedicated to all Roman gods and goddesses. It was the world’s largest unsupported dome till the dome of Florence Cathedral was constructed in 1400’s. This Roman building has been a burial place for people of aristocracy and royalty. The best feature of the Pantheon is the dome made of concrete which is 140 feet high. 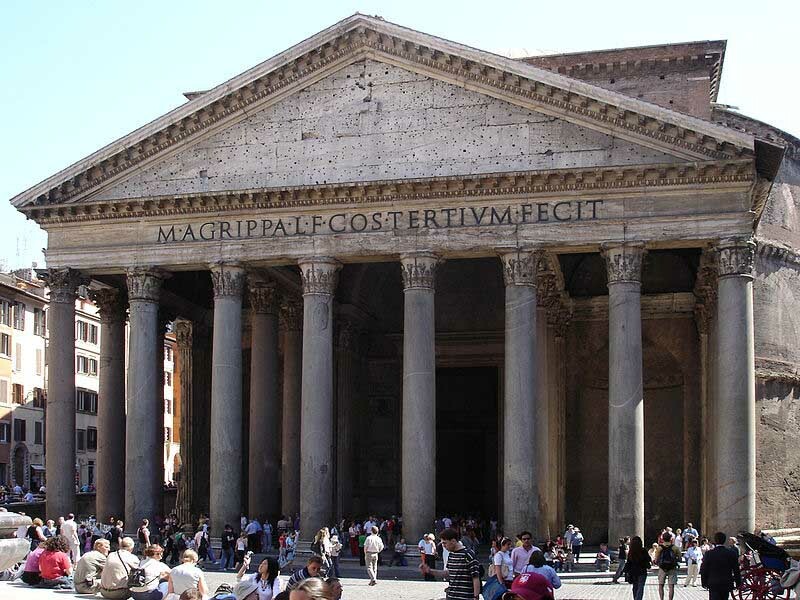 In 600 AD, the Pantheon came to be used as a church. This theater located in Orange is still standing pretty tall and looks grand too. The building was a theater built by the Romans in 1st century AD and was used for staging plays and theatrical performances by various artists. 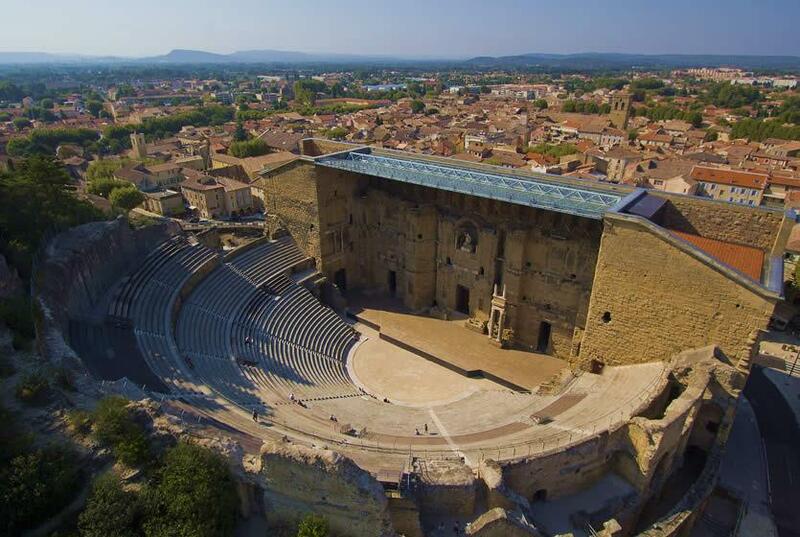 In modern times, the theater is used to host the famous Chorégies d’Orange, a summer opera festival. We have been able to see the grandeur of this building simply because of the strong foundation laid by the ancient Roman architects and engineers. The theater was closed in 391 AD and this resulted in damages to its facade. However, its glory was restored in the 19th century and is still going strong.